Getting Ready for the Holidays: Is Your Kitchen Ready for the Family? It’s that time of the year again! From Thanksgiving through the New Year, your home will likely be filled with family and friends. Your kitchen will be the busiest room in the home—but is it ready? 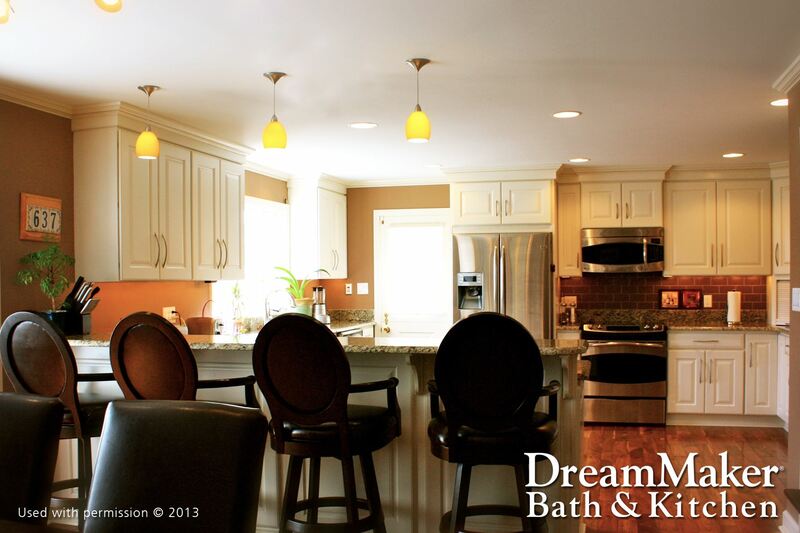 As one of the most trusted kitchen contractors in the area, DreamMaker Bath & Kitchen of Tyler has a few ways to get your kitchen ready for family and other guests during the coming holiday season. Over the years, you may have found that your kitchen feels like it’s growing smaller. This applies to both countertop and floor space. If you’re anticipating guests this coming holiday season, this might be a great reason to finally redesign your kitchen space. Do you need a new countertop? Maybe you’d like to open up and extend the kitchen by opting for an open floor plan? Your trusted kitchen remodeler can help you sort through your options. Family gatherings typically mean that different generations come together under one roof. Ideally, you’d like to protect little ones from the dangers found in the kitchen. To make sure you don’t worry about the safety of your smallest guests, consider making your kitchen more kid-friendly and accessible. There are specific updates that can transform your kitchen into a fun yet safe environment. Over the years, you will accumulate “extra” kitchen items that you want to keep but don’t want taking up space on the countertop. This could be the time to consider a kitchen redesign. A design pro can ensure your appliances, cabinetry, storage and counter space work together to create the right balance between function and style, so you can complete holiday cooking with ease. Whether you need contemporary or traditional kitchen remodeling, you can count on DreamMaker Bath & Kitchen of Tyler to turn your dream kitchen into a reality. Call us today at (903) 253-0165 or fill out and submit our online form to start a conversation. With our full design/build services, we can help you get your kitchen ready for the holidays in no time!